Looking for some exciting things to do in Los Angeles? Some out of the box stuff to do? Well here’s a list of 40 things to give you some ideas. Some of the most unique things to do in LA while you’re there. 1) Universal CityWalk There are plenty of things to do here. It’s right next to Universal Studios Hollywood. You’ll find all sorts of restaurants to eat at. There are stores to go shopping, movies to go see. There are night clubs too. You can also check out the filming of the show Extra. It’s Hosted by Mario Lopez and co-hosts Tanika Ray and Renee Bargh. They talk about the latest news in entertainment and more current topics. See which celebrity comes by for a visit. Entertaining for sure. 2) Try an Escape Room Have fun trying to escape from the haunted recording studio. This is great to do with friends or as a couple, but it’s also a fun thing to do as a family. Kids will enjoy trying to help solve the puzzles and clues. If you’ve never tried an escape room, then you’re in for a treat. If you’ve tried other escape rooms before, then you’ll enjoy this one. There’s nothing like everybody getting involved as a team and solving a problem, or at least trying to. 3) Paint and Sip Studio How would you like to do some painting, drink some wine and hang out with your friends all at the same time? Well, here you go! You will need to bring your own bottle of wine, but they’ll provide everything else. You’ll have an experienced artist guide you step by step through your masterpiece. You might be surprised how well you do. Another fun part of doing this is seeing what your friends come up with compared to what you created. You’re sure to have a great time. 4) Go to a star party at Griffith Observatory This is a cool thing to do if you’re there during that time. They do this on a Saturday of every month. Local astronomers will set up their telescopes on the lawn of the Observatory. This is what’s called a star party. There’s also a place there to buy food and drinks which you’ll find at the Observatory’s Cafe. It’s located at what’s known as the end of the universe which you’ll find on the lower level. A great way to spend the evening. 5) Downtown Los Angeles Art Walk Several art galleries will open up to the public and it will last from noon to late at night. It makes for a fun environment. There will also be a lot of restaurants and stores that stay open late as you walk through. You might even get to enjoy some live street music. Definitely something to add to the list. Whether you’re taking a romantic walk as a couple or looking for something fun to do with your friends. This is sure to check the box. 6) The Last Bookstore As time goes by you see less and less bookstores. Making it the perfect name for this place. It’s in a huge building that used to be a bank. What used to house tons of cash, now keeps lots of books. Not only do they have books, they also have cd’s and dvd’s. But what’s really cool is they have vinyl records. Any vintage music lover will love that. So if you like looking through books and music, you’ll love roaming through it’s 2 stories. 7) Frogtown and the LA River Greenway Trail If you’re looking for some place to walk or ride a bike, then you’ll enjoy the L.A. River Greenway Trail. It runs for a stretch of 7 miles between Glendale and Elysian Park. As you’re going through the trail, you’ll come across a little area called Frogtown. When you get there, you’ll find a few off the beaten path businesses that are worth checking out. Like the Spoke Bicycle Cafe and another place called Elysian where you can stop and get something to eat. 8) LA’s Secret Stairs There are hundreds of things to do in LA, but how about something a little different? LA has a lot of staircases that you can climb and get some scenic views. From the Santa Monica Mountains to the Downtown LA skyscrapers. 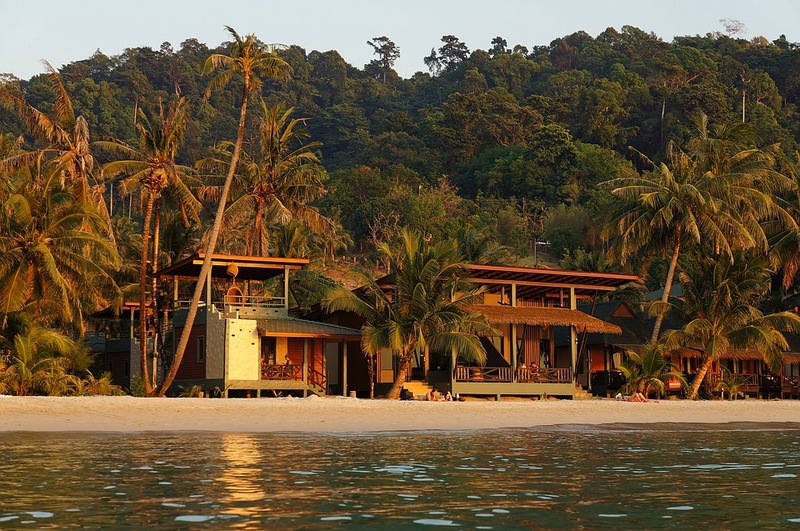 Areas with palms and beautiful homes. Elevated areas of Hollywood and Highland Park. It’s also a great way to get some exercise at the same time. A lot of these areas are forgotten and unused. 9) The Wayfarers Chapel and Rancho Palos Verdes Take the family over to Rancho Palos Verdes which is a city in Los Angeles. There you’ll find this beautiful church called the Wayfarers Chapel. Once you’re there, you can enjoy looking around and exploring the place. The inside is amazing and on the outside you have the view of the beach. If you’re into photography, then you definitely don’t want to miss this. There are plenty of great shots to get inside and outside. 10) The end of the Old Mulholland Highway Check out one of LA’s famous highways known as Mulholland Highway. Also called the snake. Photographers have been photographing there for many years. Including Jay Leno buzzing through with some of his cars. You might even see him there. The last 5 miles become dirt, which makes it great for hiking, horseback riding and bike riding. It will also lead you into Griffith Park. As you get to the end of this scenic highway you’ll be able to see the ever popular Hollywood sign. 11) El Matador State Beach North of Malibu off the Pacific Coast Highway you’ll find this tiny park. So small that you might miss it. Even though it’s not that big of an area, it’s well known. You’ll see other photographers and you might even see some film crews. There all there for the amazing views. There are even natural caves and caverns to explore and photograph. The many rocks, stones, sandy beach and surf make for endless photos. So if you want to get some great pictures, this is the place to go. 12) Ascot Hills Park Has a trail that you can hike through. You’ll find plenty of places to park. It has a shaded picnic area, bathrooms and a water fountain. The views of the city are something to see. There are plenty of trails and green hills that make it quite scenic. They even have an amphitheater. Are you a seasoned photographer? Or are you on vacation and want to get some good pictures of your trip? Either way, this is another good place to see. 13) Hermosa Beach Pier If you’ve ever seen the movie “La La Land” or the tv show “The O.C.” then you’ve seen this pier. It was built in 1904, but has since been completely replaced. This is a great place to go if you want to put your favorite camera to work. Besides taking some great photos, you can walk, ride bikes and even skate on the pier.You can get some good shots of the beach, the water and the pier itself. It’s a long pier so it’ll make for some great sunset shots. 14) Santa Monica Pier This pier has been in countless movies and tv shows for many years. Not only that, but you’ve also seen it in a lot of videos. It has a scenic and fun environment. There’s an amusement park, an aquarium, and all kinds of shops. You’ll also see live entertainment along with plenty of pubs and restaurants. In the summer you can even see weekly concerts. You can have a great time not only taking pictures, but enjoying everything that this pier has to offer. 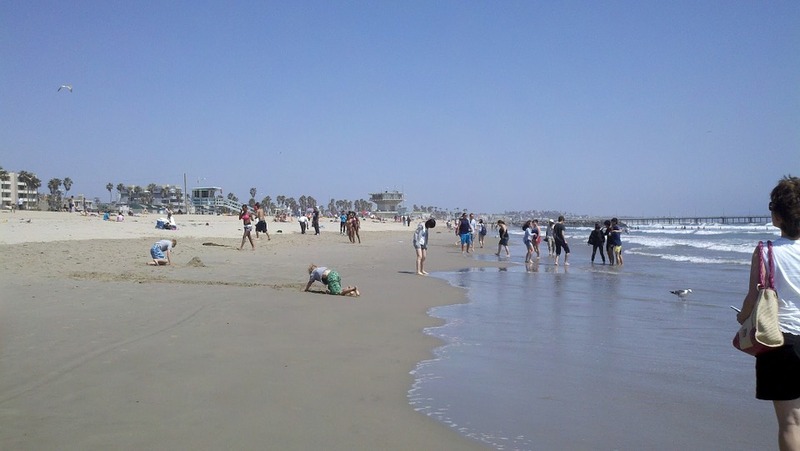 15) Playa Del Ray If you want to go to a beach that’s not so crowded, this is a good option. Another good thing about this beach is it’s close to the airport. Which is convenient if you want to catch some beach time before you leave. But it’s also good for watching the planes as they take off. See the boats heading in and out of Marina Del Ray which on the other side of the beach. You’ll also enjoy walking along the beach, or the paved trail. Keep your eyes out for dolphins and don’t miss out on a beautiful sunset. 16) Hollywood Walk of Fame Take a walk along this ever famous place on Hollywood Blvd. You’ll have fun exploring. See how many different celebrities names you can find. There are so many! If you have trouble finding the ones you’re looking for, you can get an app to help with that. How fun to see the stars of some of the famous people you grew up with. You can also read about them as you find them. Enjoy some of the stores and shops along the way. 17) The Getty Center Go check out the beautiful gardens, the art collection and the garden tour. It’s a big place with so many amazing things to look at. Art exhibits, sculptures and of course the amazing gardens. There are several buildings to go through. You might even get to enjoy some live music. There’s a cafe there to buy lunch, or you can bring your own. Pick a nice spot and have a picnic. You’ll also enjoy looking down at LA while you’re up there. 18) TCL Chinese Theatre This can be a fun place to go. One of the things you can do is look at some of your favorite celebrities handprints and footprints. Compare them to your own. Put your hand or your foot right where John Wayne, Bob Hope or Lucille Ball put theirs. You can get some cool pictures while you’re there. The famous Hollywood sign can also be seen from one of the entrances of the Theatre. 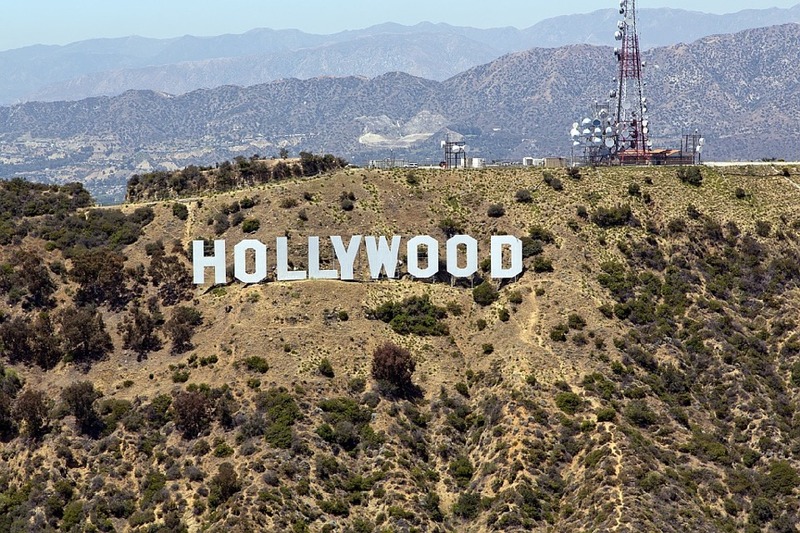 Great place to get some more fun facts about Hollywood. 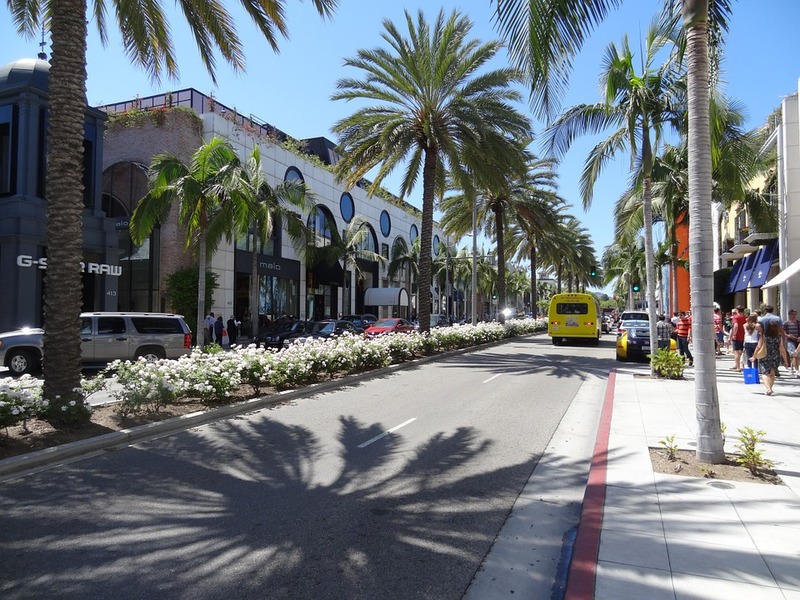 19) Rodeo Drive This is another fun place for walking and enjoying the luxury shops and stores. Anything you want to shop for, you should be able to find here. There are plenty of restaurants and even a television museum. You can also see the hotel that was in the movie “Pretty Women”. See if you can recognize any spots that were in the movie. This can be one of the most enjoyable streets to visit in LA. Who knows, you might even see somebody famous. 20) The Original Farmers Market While you’re in LA make sure to add this place to your list of things to do. You can walk around, do some shopping and find something good to eat. There are plenty of restaurants and cafes. Being a farmers market, yes they do have fresh produce. You’ll find a lot of different vendors. New ones pop up all the time. You can sometimes even listen to live music. This is a fun place that the whole family will enjoy. 21) The California Science Center You can see the space shuttle up close and personal. Walk right underneath it and learn everything there is to know about it. Don’t miss out on the Endeavour. You’ll also find plenty more science exhibits that everybody will love. Like the body museum and the IMAX show. Take a ride on a simulated flight or some of the other simulated rides. If you can fit it into your visit, the outside rose garden is something worth seeing too. This place is something everybody will enjoy. 22) Sweet Rose Creamery Stop in and get some great ice cream. Who doesn’t like that right? This place has all the flavors that you know, plus some other special flavors that you may not have heard of. Like Sweet Corn, Blueberry Muffin or Caffee Luxe Coffe. Do you think you might have a hard time trying to decide which one to pick. If so, you could check out their website ahead of time. Sweet Rose Creamery has a few locations in the LA area. 23) Hollywood If your in LA you’ve got to go to Hollywood. It’s one of the most famous cities in the world. It’s different, it’s iconic. Not something you see everyday. You can visit the Walk of Fame and see all the celebrities names and learn about each one. Go to the Chinese Theatre and then see the huge famous letters up on the hill that you’ve seen plenty of times on TV. Of course there are plenty of shops and restaurants to enjoy too. 24) Venice Beach’s Ocean Front Walk It’s a great place to walk and get some exercise. Ride bikes or even mopeds. If you like meeting new people, then you’ll like this boardwalk. You’ll see a lot of different food places there too if you get hungry. 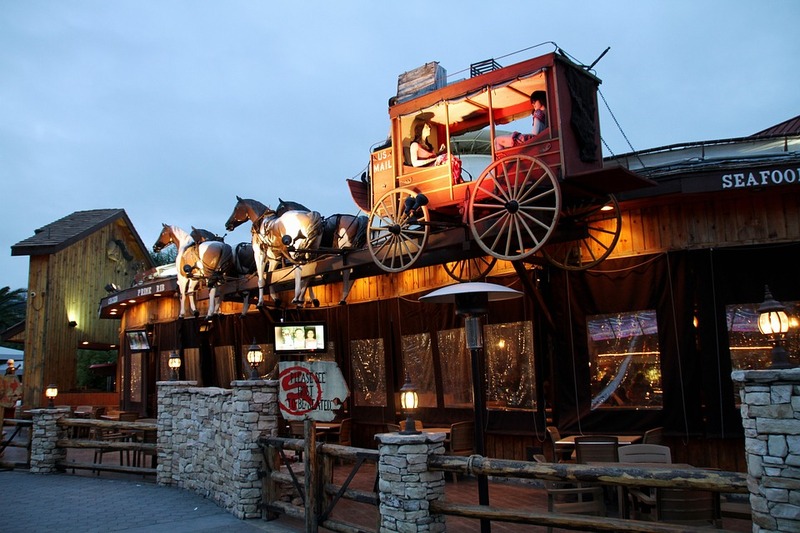 It has a very fun and entertaining atmosphere, including live performers. Do you like people watching? Then the most popular areas to go are muscle beach and the skateboard park. The Venice Beach Boardwalk has also been seen in countless movies and TV shows. 25) Watch TV Live When you’re visiting LA, one of the things to put on your list of activities is to go see a live TV show. The cool thing is, most of them are free. How’d you like to see what goes on behind the scenes. Things you don’t see when you’re watching from home. Watch Jeopardy, Wheel of Fortune or Americas Funniest Home Videos. Or how about being there to watch The Voice or Dancing with the Stars. They’re fun to watch at home, imagine how fun it would be if you were there. 26) Il Cielo This is a restaurant located in Beverly Hills. An old house turned into a restaurant. Go and enjoy a nice romantic meal on the patio with the glow of string lights. On the menu you’ll find things like lobster pasta, veal chop, pappardelle and filet mignon. They’ll bring you an endless supply of homemade bread. For dessert you can get the chocolate torte or chocolate mousse. Which has fresh raspberries inside. Have a magical night with great drinks, great food and great service. 27) Hotel Wilshire If you want to experience Los Angeles, this is the place to be. It’s right in the middle of town. It even has a rooftop restaurant and bar. You’re walking distance from all the shops, farmers markets and other restaurants. Even the Peterson car museum. There are so many places you can walk to from the hotel, including the theatre. So if you’re looking for a nice romantic getaway right in the middle of LA, then you found it. The friendly staff will take good care of you. 28) Paint Lab A great way to spend the evening or even the afternoon. You can have fun painting your best masterpiece. You may be surprised at how well you do. It’ll be fun to compare the finished results. Then you can take them home and hang them on the wall. You’ll also enjoy some wine and some cheese while your there. The staff is very friendly and the instructors will be very patient and encouraging with you. It can be very relaxing and great to do as a couple. 29) Electric Dusk Drive In This is something you don’t see very much anymore. But they do still exist. Go watch a movie on the big screen from your car. What an amazing way to spend the evening. Try to get there as early as you can so you can get a good spot. You can even bring your own food, drinks and snacks. Or if you don’t want to do that, you can park and then go to the concession stand. Once you’re all set, sit back together and enjoy the movie. 30) Gondola Amore If you want to do something romantic, this is one of the best things to do. Spend the evening coasting along the water together in a Gondola. Enjoying some champagne and strawberries. With the peaceful glow of candles lit all around you and music playing. Take a ride though the marina and even watch the sunset. You might even spot some sea lions. This is a great way to propose or celebrate your anniversary. Do something amazing with the one that you love. 31) The Secret Dinner Wanna try something different? Instead of going to a traditional restaurant, how about going to a chefs home and having your meal there? Bring your friends and family over to chef Barbara’s for a 5 course Italian dinner at a table set for 10. A waiter will bring out your food, and then she’ll come out and tell you about each dish. You wont experience this at any type of restaurant. Have a quiet and enjoyable meal away from the crowds. 32) Black Rabbit Rose Hidden in the heart of Hollywood is this cool little restaurant and lounge. 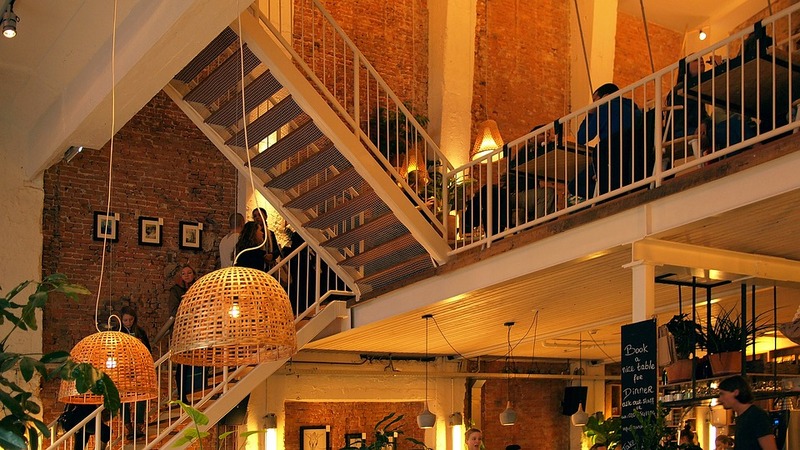 Take a trip to this back in time venue. You’ll feel like you’re in the 1930’s. Get something unique to drink and enjoy something to eat in the dim lit lounge. Then head into the old speakeasy theatre to enjoy a show. Wherever you sit should be good, because they’ll perform all around the room. Dress up, have a fun night out and try something a little different. 33) Prizon Bar This is an interesting and unusual place to go because it looks like a prison inside. Great place to go with friends to hang out, grab some drinks, and get something good to eat. Kimchi pancakes, some mentaiko pasta, or some half and half fish cakes are some of the items on the menu. They also have happy hour from 5-9pm, so the drinks are half off. You can also enjoy listening to some music while you’re there. A fun way to spend the evening. 34) Wolvesmouth at the Wolvesden If you want to show your taste buds a good time and leave full, then this is definitely the place to go. Once you’re in there, hold on for an amazing culinary ride. They’re gonna bring you 8 to 10 courses and 2 of them will be the desserts. They’ll tell you about each course as they bring it to you, but you can also get up and go ask them questions too. They’re happy to talk to you about each one. 35) Because the Wind This is what’s known as a pop up dinner club. It’s in an industrial type building on the outer edge of downtown Los Angeles. You can bring your own drinks. Once you’re in there, you can socialize before dinner. You can even go up on the roof and enjoy the city lights. When dinner is ready, they’ll let everybody know. Then you’ll gather around a big decorated table and be amazed by a 7 course meal and a couple deserts. 36) Descanso Gardens This place is very beautiful during the day with all the trails that you can walk through. But what’s even better is to go in the evening during the holidays. You’ll see the amazing lights they have everywhere. They even have snack bars for you to get something to drink or something to eat. If you want to eat before you start walking around, they have an onsite restaurant that has some great food. Give yourself a couple hours to walk around. 37) Griffith Park Want a good place to hike? Then you’ll love going here. There are so many places to go and see. Like all the great views of downtown Los Angeles and the famous Hollywood sign. Another thing to see at the park, is the Griffith Observatory. The park and the Observatory are both free. Some of the special exhibits in the Observatory do have fees. You’ll also have to pay for parking. While your there, they do have a café and a gift shop. 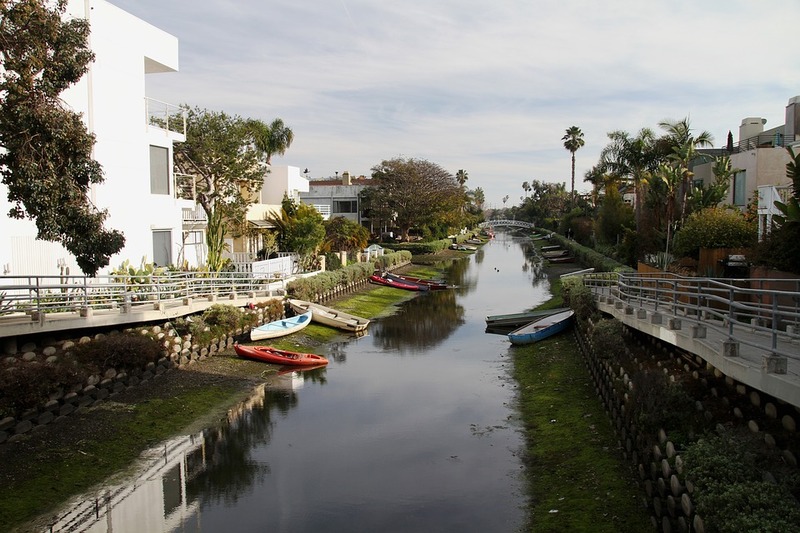 38) Los Angeles River Whether you’d like to take a nice afternoon walk or a bike ride. Even do a little fishing. This is definitely a good place to go. You’ll enjoy the path along the river. Looking at the water and all the birds. The old bridges are fun to look at too. You can also pack a lunch and stop for a picnic. LA is a fun and busy place, so if you want to escape it all for a little while, here’s your place. 39) Echo Park Lake A smaller park, which is great for a relaxing day of sitting or taking a short walk. The park also has a lake right in the middle of it. 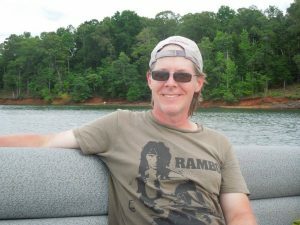 If you want, you can rent paddle boats and get out on the lake and enjoy the water. While you’re there enjoying the park, if you get hungry there’s a restaurant there too. If you like taking pictures, you’ll like this place because it’s very scenic. It’ll make for a day everybody will enjoy. 40) Bob Baker Marionette Theatre Who doesn’t love a good puppet show? Everybody will enjoy watching the puppeteers. It’s a perfect thing to do for a kids birthday party. They’ll enjoy checking out the stage before the show starts. Then see how talented these puppeteers are making these puppets seem to come to life. Their movements are amazing. The puppets will even interact with you during the show. Making the show that much for fun. After the show, everybody can enjoy a cup of ice cream. 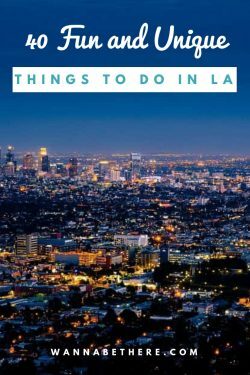 There are plenty of other unique things to do in LA! If you’ve been there before and you like to do something that’s not on the list, we’d be glad to here about it?